There are many reasons why people have difficulty, or simply can’t, lose weight. What if you’ve been doing all the right things and you STILL can’t shed the excess pounds? This weight-loss program using a low-calorie ketogenic diet is our most popular, most sought after, and in my opinion the most EFFECTIVE weight-loss program we offer. This program is my go-to for those patients who have tried various diets without success because this diet succeeds where all others have failed. Metabolic syndrome is a name for a cluster of biochemical and physiological abnormalities associated with the development of cardiovascular disease and type 2 diabetes. These include high blood pressure, high cholesterol, high blood sugar, hypoglycemia, Elevated A1C, High triglycerides, low vitamin D and increased BMI. The two most important components are central obesity (weight around your mid-section) and pre-diabetes (high blood sugar). Increased Belly Fat (the most frustrating). Did you know that belly fat is metabolically active contributing to hormone imbalance and resistance which PREVENT weight loss…which is why your previous attempts to lose weight have failed. Not all metabolic patients, but most, have one or more digestive symptoms including constipation, diarrhea, gas, acid reflux or heartburn, bloating, indigestion and other digestive problems. The condition is seldom detected by medical professionals and symptoms are usually misdiagnosed as stomach problems, ulcers, acid reflux celiac disease or irritable bowel syndrome. However, the underlying issue appears to be a mal-absorption problem caused by sensitivity to certain foods. This program and supplement regimen addresses all of these issues and improves digestion and absorption of nutrients essential to healing the gut, achieving fat loss and maintaining a healthy weight. As nutrients become less and less available, the body begins to conserve energy and store body fat. This is why exercise and dieting become less effective over time when these issues are not addressed. We address these issues by testing Vitamin D levels and supplementing appropriately so that you are properly nourished. Central body fat is metabolically active, meaning your body will store hormones which then influence your hormone and metabolic function in a negative way. So, in order to improve metabolic function, you must burn stored central body fat…but since that fat “reacts” to diet and exercise by causing you to store more body fat, it becomes a vicious cycle. Our Program puts an end to this vicious cycle. To break this cycle, our program utilizes a sublingual fat mobilizer that helps speed up fat catabolism. With the correct diet, this fat mobilizer helps burn stored central body fat from hips, waist, and thighs to be used for fuel. When you burn fat for fuel, your body produces ketones which give you energy and suppresses the appetite. This process is also thought to re-set the hypothalamus, thus re-setting your metabolism, so there is no need to take it long-term. Once you reach your goal weight, its use is discontinued, because once the central body fat is gone, it no longer has any negative influence on your metabolism and no more yo-yoing of your weight. All aspects of our weight loss program in Fort Myers are geared toward promoting only fat loss, maintaining muscle mass and improving nutrition. Then, during the maintenance phase (days 31-60), Dr. Hoch teaches you how to maintain your weight loss and how to adopt lifestyle and dietary changes so that you can maintain your weight loss, healthy habits and good nutrition for your lifetime. Calories are restricted during treatment with the fat mobilizer to 500-800 calories per day (VLCD) Very Low-Calorie Diet while maintaining an adequate fluid intake of 2-3 liters per day. Because you will be burning stored body fat for fuel, your body is releasing 1,500-4,000 calories from abnormal fat stores (ketosis) into the bloodstream so you won’t be hungry. Lean meats and specific fruits/vegetables are recommended during the treatment phase. Grains, starches, and sugars are not allowed. Exercise other than a casual walk is discouraged. Even though your body will be burning stored body fat for fuel, it takes some time for your body to have fuel ready and available for exercise. During this phase, you continue to maintain your diet of lean meats, fruits/vegetables minus starches/sugars, but there are more options and more calories allowed and healthy fats are reintroduced. NO starches and NO sugars – the goal is to learn to live day to day without these unhealthy food choices, but we will discuss one on one what reintroducing some of them might look like. The more you can limit starches and sugars, the better you will be able to maintain your weight loss long-term. During this phase, I will teach you how to eat in order to stay in ketosis, burning fat for fuel instead of glucose. For some patients, it has proven very beneficial to add exogenous ketones (Keto//OS) during this phase to keep the body energized and in a state of ketosis. A person can consume a nominal amount of calories while using the supplements and fat mobilizer, to lose weight and not be hungry. Patients will typically keep the weight off for an extended period of time rather than immediately re-gaining it as with other diets. 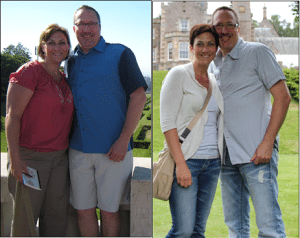 Say Goodbye to the excess weight and Metabolic Syndrome! By following our Metabolic Weight Loss protocol, you can EXPECT TO LOSE 1/2 to 1 pound A DAY (results ARE typical). You will learn how to eat healthily and make healthy food choices, eliminate food allergens, reduce blood pressure, lower cholesterol, and improve your body’s ability to cope with stress, balance blood and more! …And you will NOT have to exercise, in fact, strenuous exercise is prohibited. Check out these great success stories! 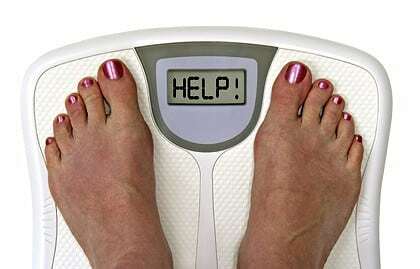 On our Fort Myers weight loss program, participants should expect to lose ½ to 1 pound per day. The weight loss phase of this diet lasts 30 days and is followed by a maintenance phase which lasts an additional 30 days. “To get started simply schedule your initial weight loss appointment. All new participants are scheduled at the beginning of the week. On your first appointment, you will be given a thorough examination that includes a body composition analysis and blood tests. We want to make sure we have good data when you start the diet because that data, i.e. your numbers, are going to change rapidly. You will then be scheduled to follow-up on another day, later that same week. These few days allow us the time to get your lab results back and review them and order your fat mobilizer from the compounding pharmacy and gives you time to watch the instructional video which we will e-mail to you. On this visit, if there is anything of note on your labs, I will go over them with you, and you can ask any questions you may have. You will pick up your kit which contains all your supplements, fat mobilizer, food diary, and instruction booklet. The instructional booklet, just like the video gives you step-by-step instructions on what you will eat and when, and how to take the fat mobilizer and the supplements in your Weight Loss Kit. I promise, all of your questions will be answered, and you will be well prepared to succeed! The cost of this program is $775.00 and includes your exam, your blood work, the instructional workshop, everything in your Weight Loss Kit, and your 4 follow-up visits. This is a weight loss program and regardless of the countless health benefits, it is not reimbursable by insurance. Our office accepts Visa, MasterCard, Discover or Cash only – no checks are accepted at our office. Here’s why our Program is the RIGHT program for YOU! You get a complete physical and blood work. We want to make sure you are a good candidate for this program. 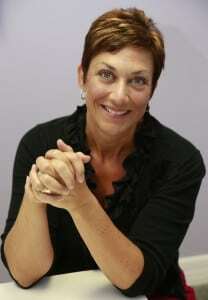 You get one-on-one counseling with our weight loss doctor and nurse practitioner in Fort Myers. We walk you step-by-step through the weight loss program and provide support along the way. We will give you all the tools you need to be successful. Even after you reach your goal weight, we are here for you to help you maintain your success. You are provided with high-quality supplements to ensure you are getting the proper nutrition your body needs. Supervision is critical because it allows us to track patients’ progress and keep an eye on underlying medical conditions and address any problems they may have so we can correct them early. We will work with your medical doctor regarding those health concerns. Our staff is very knowledgeable about our weight loss program and most have been participants themselves. Dr. Hoch can be reached via e-mail, text, and cell phone 24/7 should you have any questions or concerns. After you start your diet with us, join our Weight Loss Support group page on Facebook. Depending on your previous diet and lifestyle, you may experience sugar withdrawal symptoms headache, irritability, cravings, fatigue, nausea) and symptoms of detox for the first 3-5 days of diet. Why do I need to take my supplements? A 500 calorie per day diet does not provide enough nutrients to your body. The fat stores that are being burned will render energy but not nutrients. Supplements are necessary to prevent symptoms of malnutrition. These symptoms are a side effect of a very low calorie diet and not the product. Why do I need to come into the office every 2 weeks and be monitored? The program and diet must be followed without any deviations or muscle loss can occur. With proper supervision, fat will be burned and lean muscle protected. Regular medical Monitoring is essential to your success. Are any of my medications (including antidepressants) contraindicated with this program? No. All prescribed medications should be continued. Vitamins A, E, and Omega 3 fatty acids are not taken during the first phases of the program. Will I gain the weight back after I complete the program? Former patients report a change in their appetite. The plan allows for an ideal transition into a healthy relationship with food and maintaining your weight. You should not regain weight as long as you do not return to previous unhealthy habits. With the hypothalamus reset you should not feel the need to overeat. Can a man be on the Metabolic Weight Loss Program? The supplements are all natural and present in both men and women. In fact, men tend to lose more weight than women when on the protocol. If I have diabetes, high blood pressure, high cholesterol, Crohn’s disease, history of thyroid disease or removal, can I do the weight loss program? How much is the weight loss program? This is our most sought after weight loss program. Our Metabolic Weight Loss program includes your initial visit and evaluation, your weight loss kit, labs, and all follow-up appointments over a 2 month period. The total program cost is $775.00. Established patients who have already completed a 60-day program with Dr. Hoch (within the past 90 days), can purchase their second 60-day program at a discounted fee of $600.00.